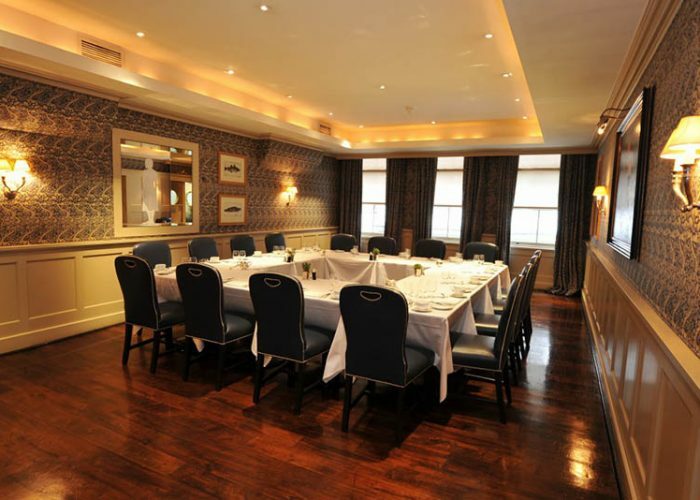 Luxury Private Dining Rooms at Bentley’s Restaurant, Piccadilly. Thank you for your interest in Bentley’s Restaurant, Piccadilly.! Home » Restaurants » Bentley’s Restaurant, Piccadilly. Bentley's - Private Dining A La Carte MenuBentleys Restaurant - Private Dining Wine List. 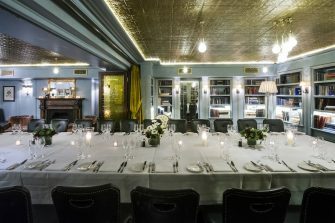 Bentley’s offers two stylish private dining rooms, with a wide range of menu options to choose from including dishes such as: Roast Fillet of Hake with Puy Lentils & Salsa Verde, Slow Roast Shoulder & Roast Rack of Elwy Valley Lamb with Roast Shallot & Watercress & Classic Lemon Tart with Crème Fraiche. 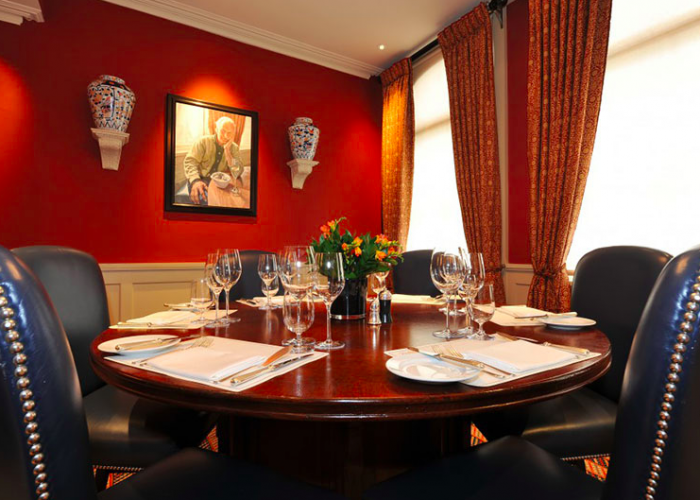 The Crustacea Room is located on the first floor decorated with Chef Richard Corrigan’s personal collection of art and William Morris style curtains. 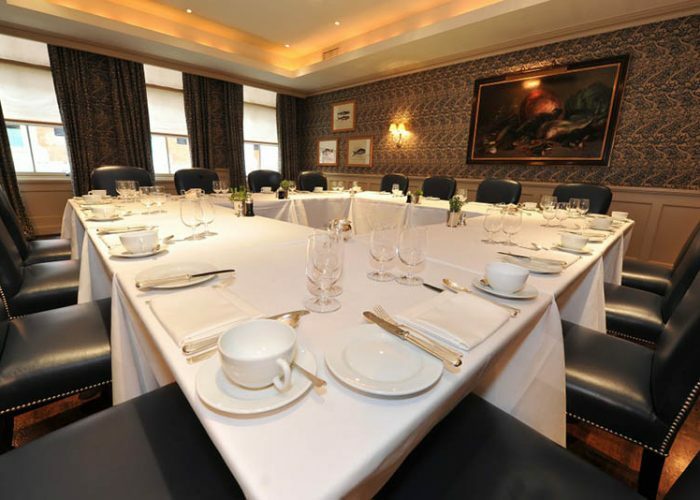 Seating up to 14 guests, it is perfect for any type of formal business lunch or dinner, or simply to celebrate a birthday in style. There is no room hire nor minimum spend if there are 8 or more guests dining. For lunch and dinner we offer a reduced a la carte menu, with complimentary canapés, tea & coffee & petit fours for £55 for lunch and £72.00 for dinner. The Crustacea accommodates up to 8 on a round table and 14 guests on a rectangular table. 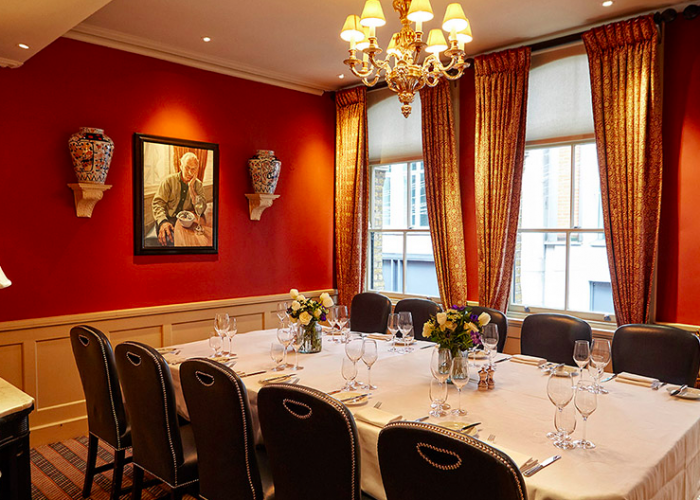 The Swallow Street Rooms are a hidden gem in the bustle of Piccadilly’s famous Swallow Street, comprising of 2 separate rooms, The Den & the Swallow Library. Recently redesigned with classic pastel colours and gold, mirrored walls, leather banquettes, it’s a perfect space for a multitude of occasions. With your own private bar, bathroom, cloakroom facilities, piano, plasma screen, late licence and state of the art sound system you will have everything you need for a successful event. 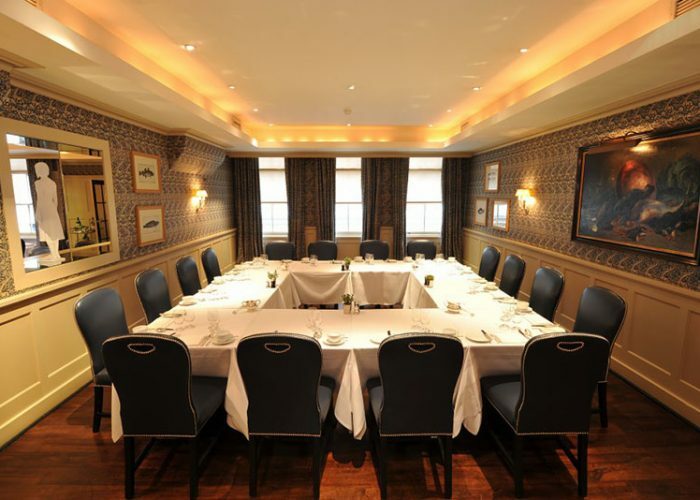 The Den can accommodate up to 20 seated guests & the Swallow Library seats up to 18 people each on one table; and combined the Swallow Street Rooms can accommodate 60 people on round tables, 1 table of 30 or 100 guests for canapé parties. Our 3-course set menus start from £40.00 per person including complimentary canapés on arrival, followed by tea & coffee and handmade petit fours.